Good news for windows 10 users. Now, you can see recent files in windows 10 just by opening it. It also gives a list of frequently used folders. After windows 7, this useful feature was missing from windows 8/8.1 and windows 10. But now, after creator’s update, Microsoft has listened to the feedbacks and have included this feature in the Quick access page. You can access this page by clicking Quick access at the top right as shown below. Press windows key + r and launch run command box and write explorer in it. If file explorer does not open quick access, just change it to quick access by following steps below. 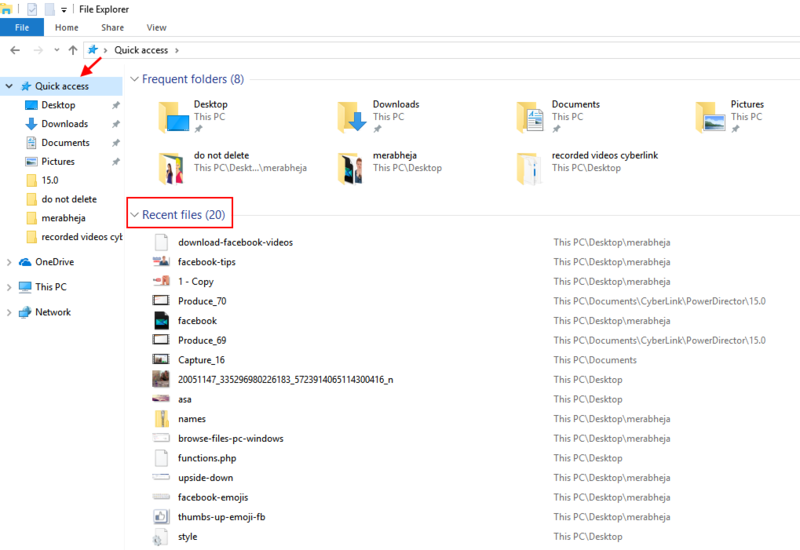 Step 2 – Now, change Open file explorer to – > Quick access. Now, whenever you will click on file explorer, you will directly go to quick access page and can see recent files.